A Uruguayan Fireplace Grill which has a round rod grate and has an adjustable Grill Angle. Some customers choose a Stainless Steel Grate. 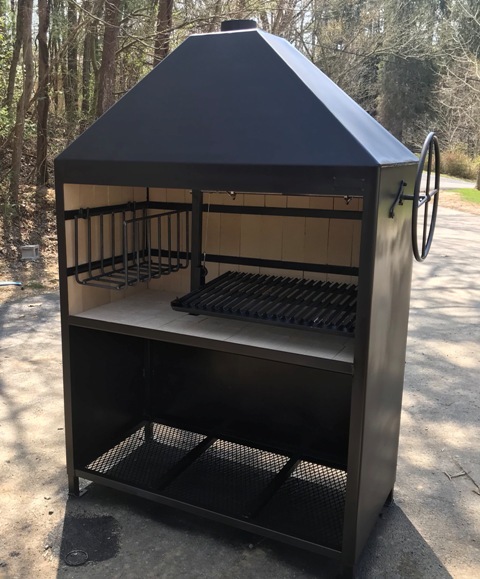 An Argentine Fireplace Grill that has an Argentine V-Grate with a drip pan. The Grill Grate moves up and down. These grills are designed to cook grilled meats or asado, over red hot wood coals. 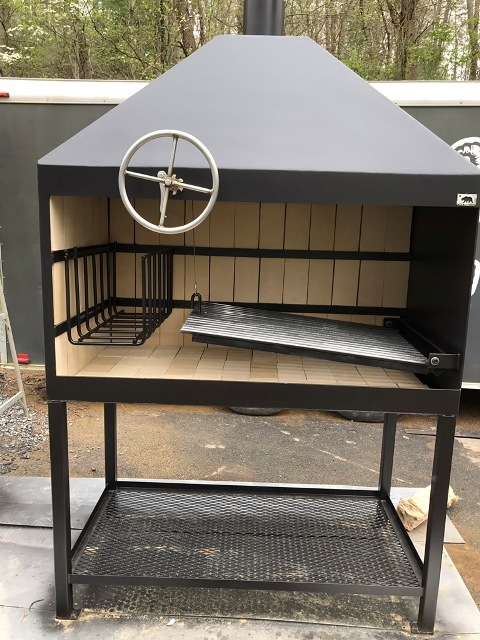 The hearth and hearth grate is used to burn wood to red hot coals which are then pushed beneath the grill grate for the best tasting barbecue. The adjustable grill angle (or height if Argentine option chosen) allows for total control of the grilling temperature. 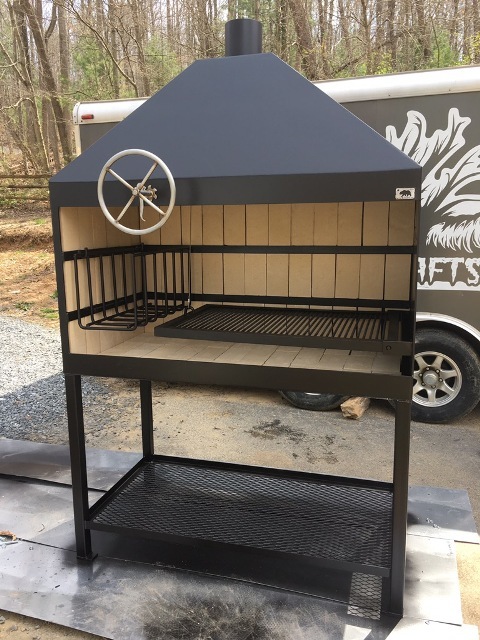 Use this grill for beef, pork, chicken, sausage, and sweetbreads.